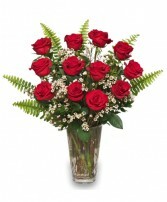 Rose Vase, Foliage: Myrtle, Sword Fern, Red Freedom Roses, White Waxflowers. 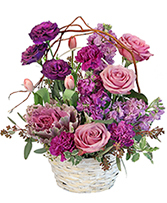 Turn Up the Heat on a New Romance or a Lifelong Love Affair with this Charming Bouquet of Ravishing Red Roses from ROCKVILLE FLORIST & GIFT BASKETS. Send a rainbow or roses! 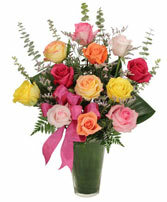 This fresh mixed rose bouquet is overflowing with a variety of colors. 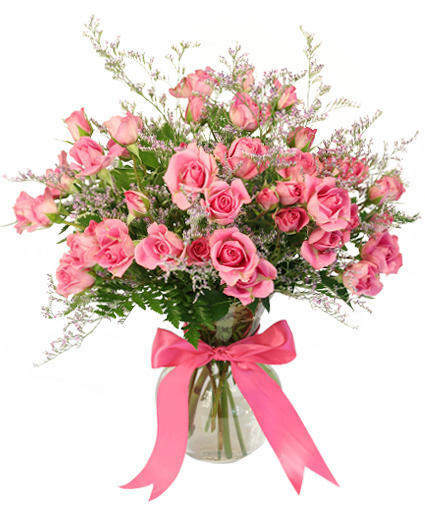 A stunning display of the world's most popular flower, it is a perfect way to celebrate every special moment in life.Standard: 12 Roses. Deluxe:18 Roses. Premium: 24 Roses.